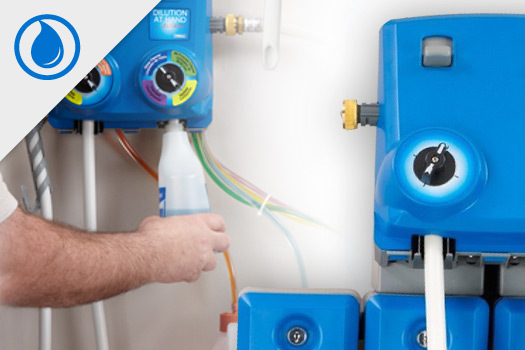 Aire-Master’s Proportioning System adds the right amount of concentrated cleaner to water and dispenses the ready-to-use product into a trigger bottle or other container. Each half-gallon of concentrate makes dozens of refills, which means huge cost savings for you. 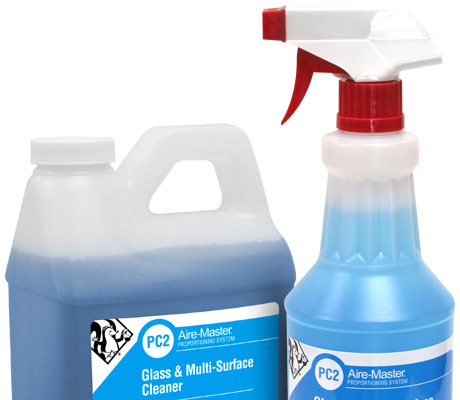 We didn’t compromise on quality, either — these are some of the best cleaning products you will ever use. As always, Aire-Master makes things easy. We will install and configure the equipment. Your service person will keep your chemicals stocked. All you and your employees have to do is fill your trigger bottles — the Proportioning System makes it simple. I can't thank Aire-Master enough for installing a dilution center paired with their chemicals in my facility. It has not only provided a 75% savings but simplified a tedious task that was leading to waste and inconsistency.